Rather than drop out of school and try to teach himself golf or get a job as a junior in a golf shop James decided, with the help of his family, to get some of the best instruction in the world by going to Hilton Head: South Carolina, USA to further both his golf and his academic future. James went on to the Heritage Academy one of the top schools in the world for the development of golf with its tie up with the Hank Haney International junior golf academy , Hank Haney just happens to be the Instructor to the #1 Player in the World, Tiger Woods…That’s the level of instruction James has received..
After graduating from college in America, James returned home to the island of Tenerife, he then turned professional in 2009. His first outing as a fully fledged Professional was at Golf Del Sur Golf Course in the October of that year at the Jimmy Golding memorial tournament where he came 4th in a very experienced field, shooting 72.70.69 over the three days. He is planning to try for his European Tour card at Q-school this September which, if successful, will entitle him to play in all PGA European Tour events and put him on track to the career he has worked towards for years. Living on an island, he has to travel to all the major Pro tournaments throughout Europe, which is very expensive, so he is looking for sponsorship from local Tenerife business people in return he is prepared to give on course instruction or range lessons on a one to one basis. I got a 15 min round the green chipping lesson, its amazing how little pointers help your game. He has based himself at Amarilla golf course and uses their practice facilities for up to six hours a day, six days a week, this boy means business and through hard work and dedication, I really hope he achieves it. 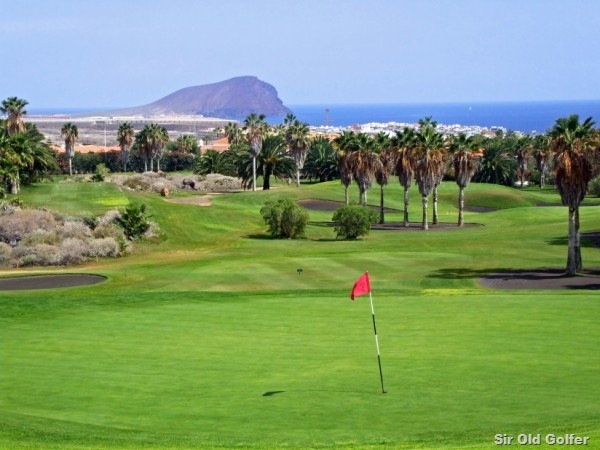 On Saturday the 27th March 2010 AMIGOLF are holding their second tournament of the year at the fabulous Golf Las Americas Golf Course here in Tenerife. 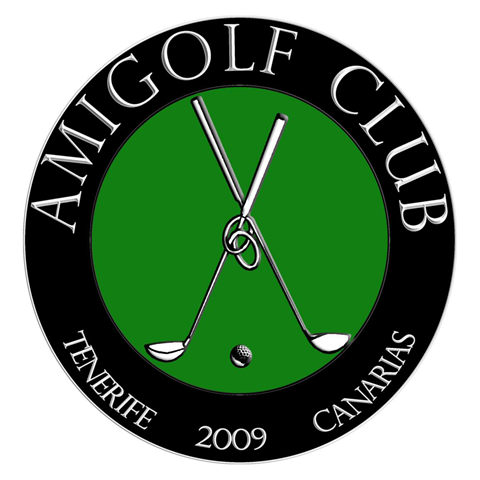 AMIGOLF is a group of about 100 Spanish golfers and six European golfers who run a full program of Golf tournaments and activities throughout the year at the different golf courses on the Island of Tenerife. Sir Old Golfer had the honour of becoming the first Non –Spanish member.The Europeans have been well accepted into the club and are enjoying the fellowship of AMIGOLF and trying to learn the language although I now know most of the more colourful golfing terms in Spanish by heart ! The format for the tournament is medal play over 18 holes with two handicap categories,0 to 13 and 13.5 to 26.4 and a scratch winner. This tournament is a qualifier for the order of merit for the years overall club winner. I have an early tee time again! think they know I don’t like mornings, but I will be trying to get the European guys on the score sheet at this one….. Manure and Golf What do they have they in common ? Manure: In the 16th and 17th centuries, everything had to be transported by ship and it was also before the invention of commercial fertilizers, so large shipments of manure were quite common. It was shipped dry, because in dry form it weighed a lot less than when wet, but once water (at sea) hit it, not only did it become heavier, but the process of fermentation began again, of which a by product is methane gas of course. As the stuff was stored below decks in bundles you can see what could (and did) happen. Methane began to build up below decks and the first time someone came below at night with a lantern, BOOOOM! After that, the bundles of manure were always stamped with the instruction ‘ Stow high in transit ‘ on them, which meant for the sailors to stow it high enough off the lower decks so that any water that came into the hold would not touch this volatile cargo and start the production of methane. Thus evolved the term ‘ S.H.I.T ‘ , (Stow High In Transit) which has come down through the centuries and is in use to this very day. You probably did not know the true history of this word. I had always thought it was a well used golfing term. Frantically, the son calls his sister, who explodes on the phone. “Like hell they’re getting divorced!” she shouts, “I’ll take care of this!” She calls Tenerife immediately, and screams at her father “You are NOT getting divorced. Don’t do a single thing until I get there. I’m calling my brother back, and we’ll both be there tomorrow. Until then, don’t do a thing, DO YOU HEAR ME?” and hangs up. Happy New Year to all my Readers…..